The chief minister disbursed cash compensation among 20 such families and appointment orders among two kins of the persons who were killed in various militancy-related incidents in the district. 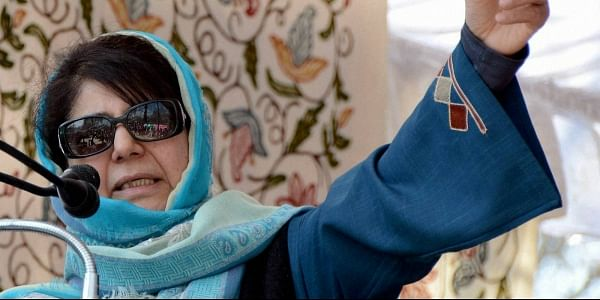 JAMMU: Jammu and Kashmir Chief Minister Mehbooba Mufti today directed immediate clearance of 72 pending militancy-related cases for ex-gratia relief in Rajouri district, an official spokesperson said. The chief minister disbursed cash compensation among 20 such families and appointment orders among two kins of the persons who were killed in various militancy-related incidents in the district, the spokesperson said. District Development Commissioner Shahid Iqbal Choudhary said a total of 72 cases of militancy victims from the district are pending with the government for more than 20 years and with the chief minister's order, compensation in respect of 22 cases was disbursed. In respect of remaining 50 cases, he said, compensation would be released next week and there would be zero-pendency of such cases in the district, the spokesperson said.